With just a few days left in our 28 Day Challenge, I want to spend the next 2 days talking about something I haven’t spent a lot of time on but just mentioned a few times throughout the challenge, oils. If you have noticed, most of the oils I’ve asked you to eat more of like butter, olive oil, coconut oil, etc. are either saturated or monounsaturated fats. 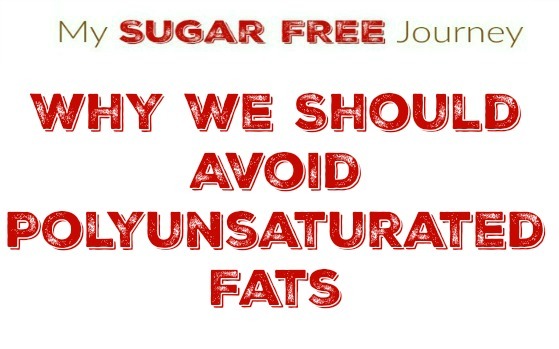 Why is that and why do I want you to avoid polyunsaturated fats? That is what we will be focusing on today. We’ve discussed how oxygen can be a harmful substance in your body. Oxygen causes harmful reactions within your cells that require antioxidants to limit the damage it does. Oxygen also reacts with the fats we eat. It doesn’t do anything to saturated fats, reacts in a very minimal way with monounsaturated fats, but causes all kinds of damage to polyunsaturated fats, breaking them down into a range of dangerous chemicals that destroy the integrity of any cell made from fat. I.e. Every cell in your body. Oxidated fats can lead to the random destruction and out of control cellular growth called cancer and can create lesions on the heart that lead to heart disease. Both of these processes are made worse by the large amounts of sugar most of us are eating as well. New research is also starting to suggest that polyunsaturated fats, in particular the Omega 6 fats that are dominate in most seed oils, may lie behind the massive increase in diseases as diverse as macular degeneration, allergies and even asthma. At no point in human history were we ever been subjected to the massive amounts of fructose and omega 6 fats that we currently have in our diet so it shouldn’t surprise anyone that we haven’t developed the ability to handle them in a healthy way. Ever since the 1950s, the medical community has told us that to avoid heart problems, all you have to do is avoid saturated fat and keep your cholesterol low. That is exactly what we have done as a nation and the number of people with heart disease has done nothing but increase. It should be noted here that cardiovascular deaths has fallen because the medical community has made huge strides in early diagnosis and treatment of CVD, but the numbers of people who have it still rise. Every bit of new research that has come out has told us that it is the oxidation of polyunsaturated fats that are then transported by cholesterol through the bloodstream that is causing the bulk of the issues, not the cholesterol directly. I firmly believe that there will be a day that this fact will be the mainstream opinion of the medical community but it might take a generation for the old guard to die off for that to happen.